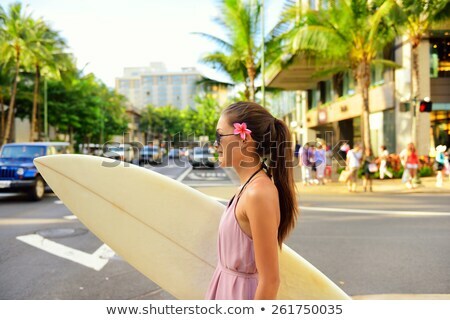 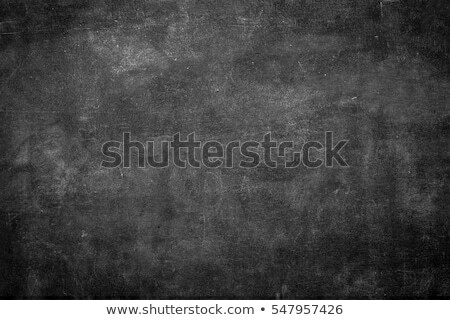 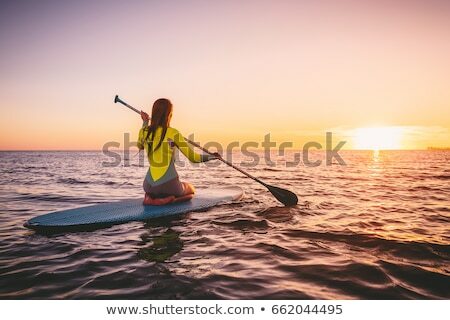 Stock photo: Surfer girl going surfing on Waikiki Beach, Oahu, Hawaii. 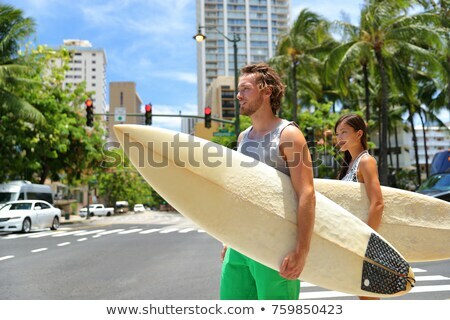 Female bikini woman heading for waves with surfboard having fun living healthy active lifestyle on Hawaiian beach. 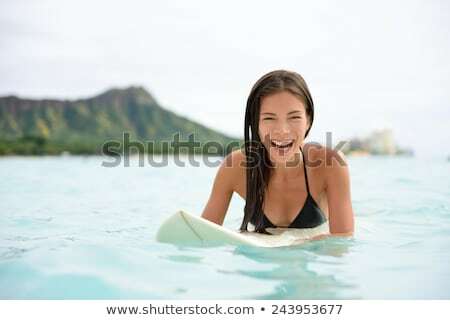 Water sports with model.